Today’s farmers’ market treasure booty with crazy alien lettuce on the left. I’m overwhelmed with gratitude in this moment at how wonderful our farmers’ market is here in Scottsdale. Not only is it local and fresh, but … I’m spoiled because it’s also certified organic. Gratitude full on. 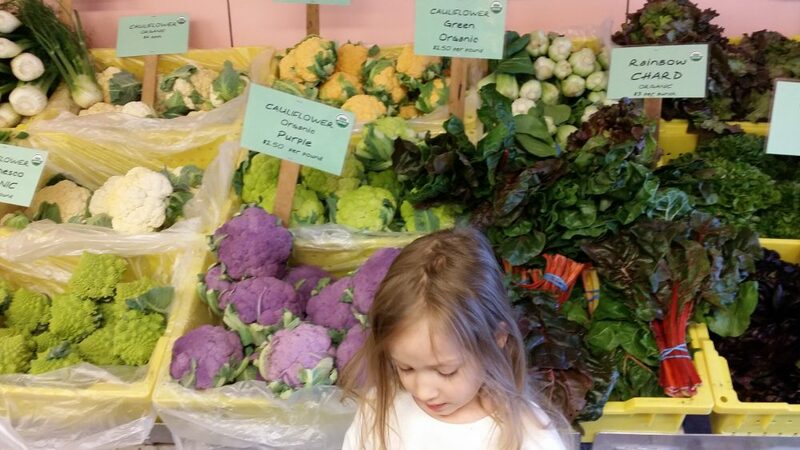 Today, I was in wonder as I saw purple cauliflower, orange cauliflower, and even green cauliflower. 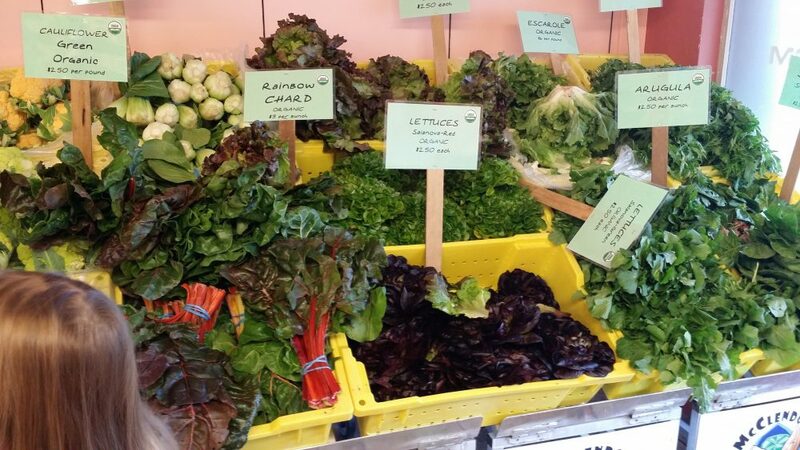 Super fresh broccoli and so much more. A rainbow of cauliflower options: purple, orange, and green. Oh, and my side kick, Kamea. And, the greens – my goodness they look like they’re from another planet. Must have. 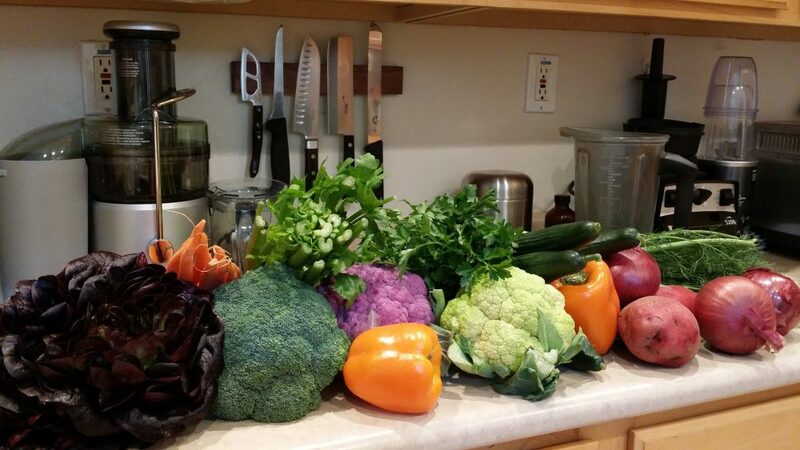 I am excited to juice some of this wonderful produce in my latest juicer.